David de Gea claims he is happy at Manchester United and doesn’t want to talk about anything about the on-going Real Madrid rumours, but at the same time, seems a bit non-committal regarding his future at Old Trafford. The end of FIFA’s imposed transfer ban on the Madrid giants has straightaway reignited fresh rumours that Real Madrid will yet again try to snap up the Spanish goalkeeper. Madrid failed their extraordinary bid to land de Gea following an administrative error in the final moments of the 2015 summer transfer window as the almost done deal fell through. Speculation over de Gea’s future hasn’t been able to bury down since and from July 1, Madrid once again will start their transfer business. 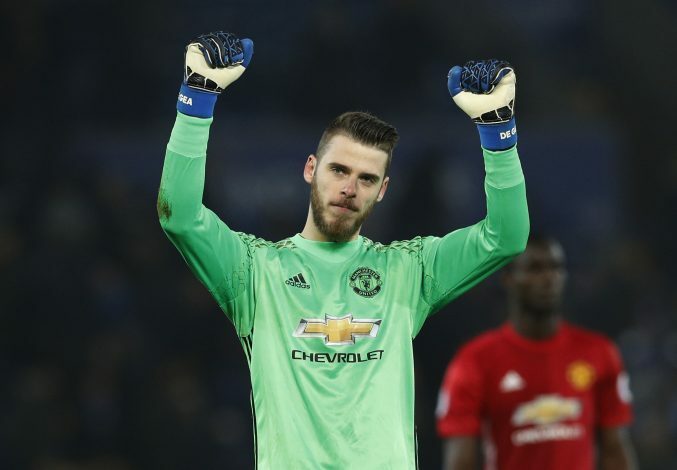 However, worryingly for Manchester United, de Gea seemed non-committal when asked about his future at Old Trafford during an interview this week. When pressed about a move to Real Madrid in the summer, he said: “I’m not going to talk about that. However, Marca, who are notoriously close to the Bernabeu hierarchy, have recently claimed Real have already made contact with United and de Gea is well aware of the interest while the rumoured operation is underway. They also suggest de Gea has a £55.3m release clause, a fee that the La Liga giants are apparently willing to pay.